Alpha PXP Royale is the most powerful, long-term use product, for generally improving human health on the planet today. With the abundance of stress, toxins and insufficient sleep in most peoples lives, the cells of the body often do not have surplus energy with which to obtain nutrients or initiate repair processes, in situations of disease, overexertion, invasion of microbes or free radical assault. PXP can very well be the only thing, besides sleep, that can create large enough amounts of excess cellular energy or healing to take place at a high rate. Alfa PXP Royale works by feeding the mitochondria in your cells. ALL the cells of your body have mitochondria they are the power plants of the cells that convert food into energy. For your body to feel healthy your cells need to be able to take in the nutrients they need and release waste matter. PXP helps give your cells the ENERGY they need to do this. Alfa PXP Royale is a Peerless Alpha AnthoCyanin Superfood from specially processed strains of purple rice from Thailand. 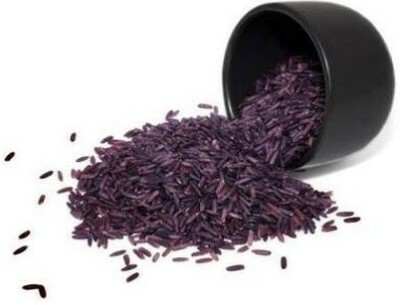 These rice strains are chosen because of their high concentration of anthocyanins, which give it its purple colour and which offer numerous benefits, chief among which is the most powerful free radical protection of any food substance on earth. PXP is 100% all natural and pure. It is hypoallergenic and contains no dairy, wheat, gluten, sugar, chemicals, fillers, binders, artificial colours, artificial flavours, additives, or preservatives and is not genetically modified. (non-GMO). It may change your life for the better as well. Why Wait to Start FEELING BETTER?